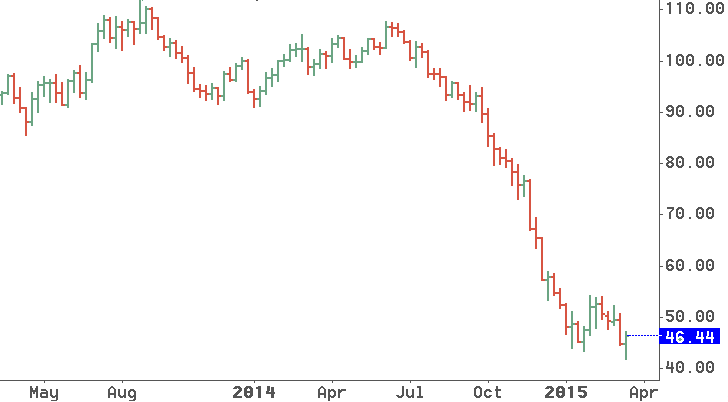 One of the most remarkable trends of the last months is the deep dive of oil. Oil is tanking! One reason is the US and its ability to exploit previously unprofitable repositories. Fracking has led to an oil glut, temporarily at least. The US just became a net exporter of oil after decades of being an importer and now runs even out of storage for its new oil miracle. Other oil producers like those from the OPEC don’t want to lose market share and as a result are not cutting back their production. Here is an alternative explanation. The world and especially the US is manipulating the oil price down in order to put pressure on Russia for its role in the Ukrainian crisis.